Our CSA, Mountain View Farms in Western Massachusetts is amazing. 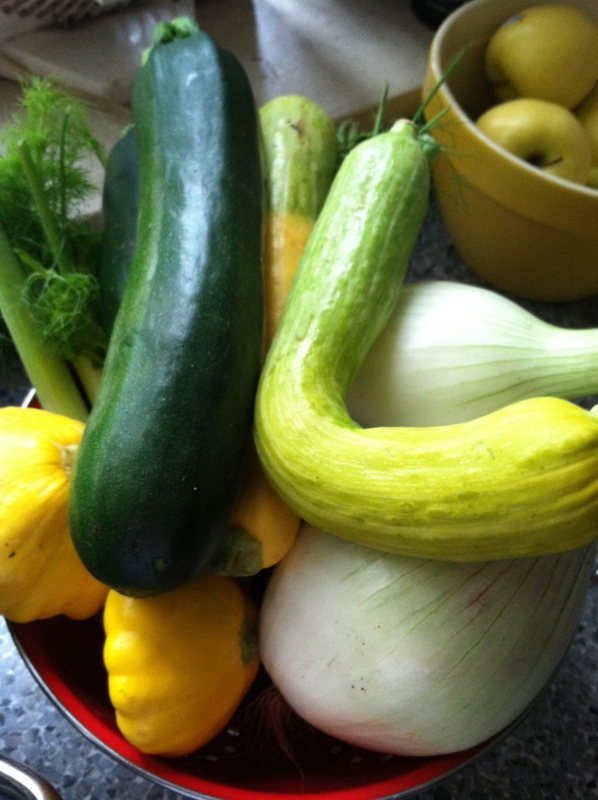 Last Thursday, I came home to find my counter full of zucchini, squash, onions not to mention beets, swiss chard, kale and cucumbers. Just the sight of all that luscious greenery made me happy. Getting to cook with it all, made me even happier. 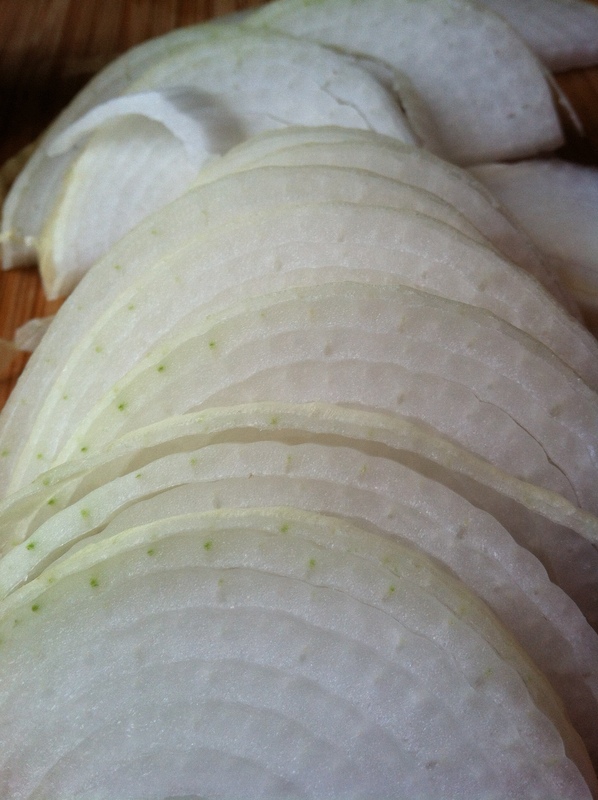 After seeing how beautiful the onions were, I suddenly had a craving for onion tart. So that’s where I started. I simply sautéed sliced onions in a pan with a little olive oil, plus a pinch of herbes de provence and little salt and pepper. 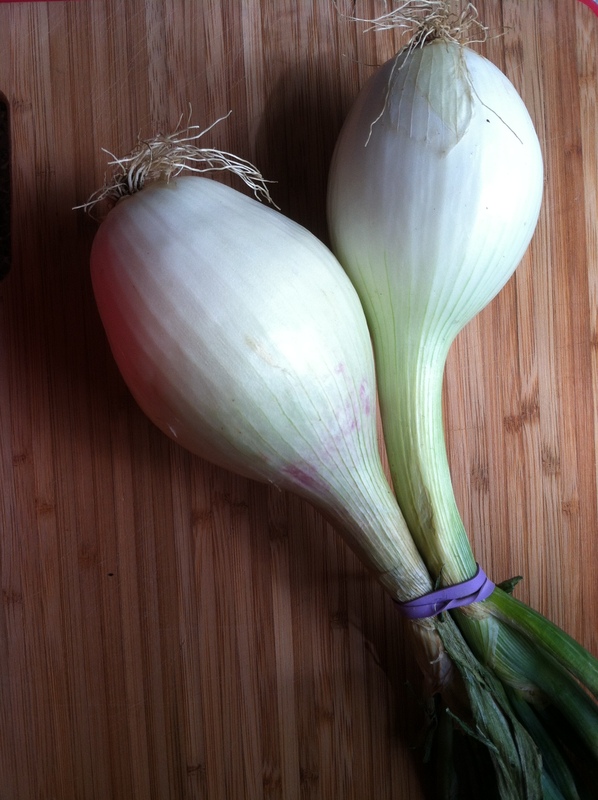 Once the onions had cooked down a bit, I added in splash of white wine, put the lid on the pan and let them simmer. Meanwhile in a separate pan, because by now I had decided to make a quiche with all the zucchini, I browned a bit of canadian bacon to add into both dishes. 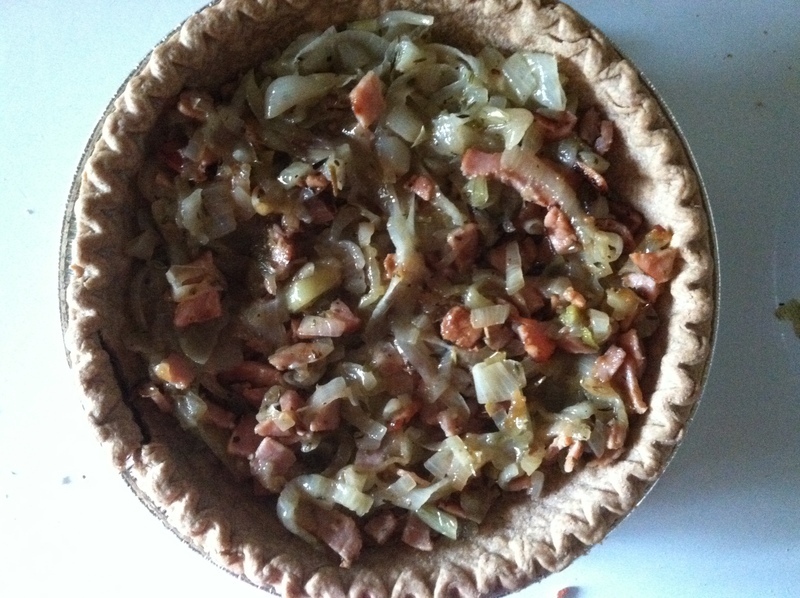 Once both the onions were almost caramelized and the bacon just browned, I tossed them both together and added the mixture to my (not homemade) pie shell. After about 30 minutes in a 350 degree oven, the tart was done. Salty, sweet and fragrant. I worked up the zucchini quiche at the same time,because you can never have too many things cooking at once on a hot summer afternoon. I sautéed the zucchini , a little more of the onion and the rest of the canadian bacon. Once the vegetables where cooked through (but not soggy) and had cooled just a bit, I added them to the beaten egg and grated cheese mixture. Gave it a good stir to coat the vegetables, and poured everything into the pie shell. It took 45 minutes at 350 for the quiche, but the result was worth it.